Longer days and warmer nights mean it's time to take the party outside. Get comfortable, put your feet up and stay a while with modern lounging solutions for every weather. Relax in your backyard with a modern outdoor lounge chair. Lounging around the backyard will be improved with any of these contemporary-styled patio lounge chairs. 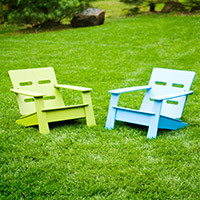 You'll appreciate the high-quality and durable nature of these chairs, but you'll fall in love with their eye-catching design. If you are entertaining in your backyard, deck or patio space, your guests are sure to love them too. Whatever the occasion, you are sure to find a lounge chair for your outdoor living area here. Who doesn't love to lounge around their lovely backyard? On a summer evening, there's nothing better than relaxing in a comfortable lounge chair, either enjoying the warm air or catching up on your favorite book. 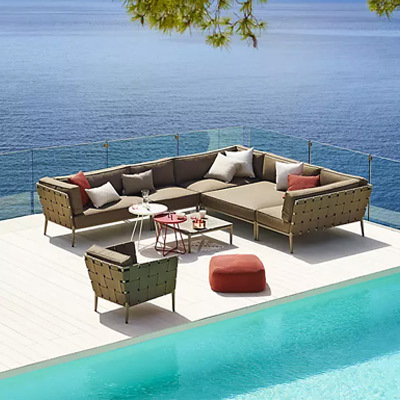 Contemporary outdoor lounging furniture is best placed on the patio or deck to help you enjoy those nights spent with friends hanging out in your outdoor living area. Outdoor sofas create an inviting presence, while the assortment of patio accent tables ensure you have a place to put your drink and snacks. And after a family barbecue or occasional dinner party, your guests are sure to enjoy kicking their feet up and engaging in conversation with this style of patio furniture. For a summertime afternoon nap or sitting around a bonfire late into the evening, you and your guests will surely appreciate the comfort offered by this diverse collection of lounge furniture. This assortment of furniture can fit into a wide variety of exteriors. 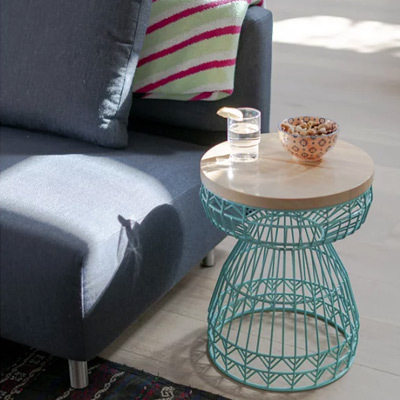 From patios styled with traditional outdoor elements to those filled with the most modern accessories, you'll find furniture pieces that will complement any kind of decor you may already have present in your space. 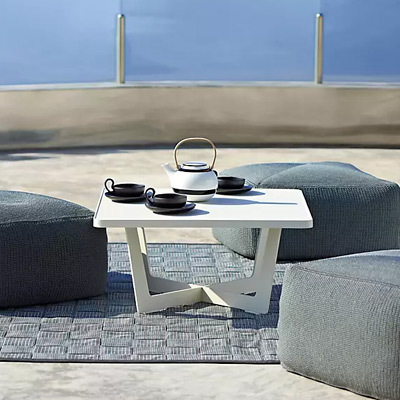 MAMAGREEN adds a splash of contemporary to any outdoor living space with its wide selection of patio chairs and tables that are ideal for lounging. Meanwhile, Innit Designs' Acapulco Chairs are a classic choice and work well for enthusiasts of a mid-century design style. 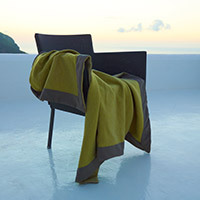 Featuring a design reminiscent of original Acapulco chairs, these updated options represent outdoor lounging at its best. 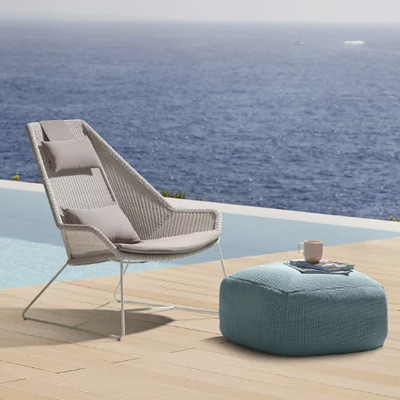 Make cleaning you outdoor lounging furniture easy with the selection of plastic items from Kartell and we couldn't mention outdoor lounge furniture without considering Blu Dot. From sofas to high-back loungers, Blu Dot offers an exceptional collection of patio lounge furniture you can use to completely refresh your space. Choosing the right lounge furniture for your space depends on the amount of room you have on your deck or patio and the style of furniture you need. First, begin your search by assessing how big or compact your outdoor living area is. In bigger, open spaces, you'll love filling them up with a patio sofa or a sectional sofa. In more compact patios and decks, you'll appreciate the same amount of decorative character found in a pair of lounge chairs. Once you have assessed the amount of space you have to work with, you can then refine your choices by important design elements like color, finish and materials - many of the furniture items here are made from environmentally friendly sources if that is on your list of priorities. And be mindful of the maintenance instructions with these furniture options. Most allow you to clean them with your garden hose, but it's best to review the product details for any item you're interested in. If you have any questions about the outdoor lounge furniture featured here, please call our furniture experts at 877.445.4486. What better way to lounge than under the cool breeze of a ceiling fan? Wet and damp rated outdoor ceiling fans find their home in covered patios and gazebos, pushing out warm air and keeping you cool all summer long. And lounge late into the evening with the help of outdoor and landscape lighting. Outdoor lighting in the form of wall-mounted sconces, flushmounts, portable lamps and torches scattered throughout the backyard provide the perfect amount of illumination for summer nights when you just don't want to go back inside. Similarly, well-chosen landscape lighting like path lights, bollards, pond fixtures and flood lights create an element of safety for those dimmer areas of the backyard. Finally, if you enjoy the comfort and style provided by this selection of patio lounge furniture, consider all of the options you can use inside the home.